Author: Condon, Sean Set In . . . Description: In Sean & David's Long Drive he careered around Australia with his laconic pal David in a retro Ford Falcon. In Drive Thru America he and David cruised the States in a very uncool Chrysler Neon. 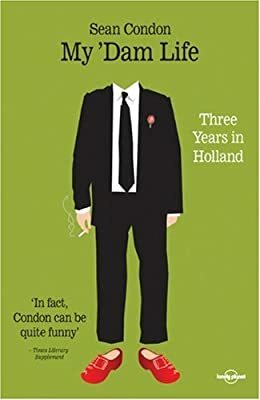 Now Australian humorist Sean Condon is married and living in Amsterdam - jobless, homeless, careless and Dave-less. In My 'Dam Life he casts a witty, watchful and wonderfully self-deprecating eye over his expat experience of laziness and leisure, dreams and destiny in the Venice of the North. With his uncanny ability to seek out the absurd in everyday life, Sean finds plenty of targets in a city of hemp and high culture, canals and bicycles, idiosyncratic plumbing and internationally unrenowned cuisine. My 'Dam Life strikes a hilarious chord with anyone who has followed their dream of starting a new life abroad.